Cambridge Audio DacMagic XS review | What Hi-Fi? On paper the Cambridge Audio DacMagic XS USB DAC seems too good to be true. It looks and feels like a direct rival to the likes of AudioQuest’s DragonFly or HRT’s microStreamer, but only costs around half as much. There’s little here to give away that bargain price. The packaging is slick, and the product even better. It’s a small unit, as is the way with this breed of USB DAC. The size – smaller than a typical matchbox – is part of the appeal, of course. It’s easy to carry around with a laptop, and is truly portable as there’s no need for an external power source (apart from the computer itself). We’re impressed by the build quality. The XS is cased in a smart aluminium shell – its nicely finished and feels classier than the price implies. Controls are limited to two buttons. These not only set the volume level, but if you press both at once and hold for a few seconds they switch the DAC operation from USB 1.0 to 2.0. The most obvious advantage is that the DacMagic XS will now accept a 24-bit/192kHz music stream, where as in USB 1.0 mode it is limited to 24-bit/96kHz. There’s a hidden benefit too, and that is better sound quality generally. The device also features asynchronous USB audio clocking. Even with a standard CD rip of ICE T’s O.G. Original Gangster we formed a clear preference for USB 2.0. It simply sounds more focused, stable and confident. PC users will need to download dedicated driver software from Cambridge’s website to be able to use USB 2.0 mode. Apple users will be fine without. Connections are simple. There’s a micro-USB input on one end for the digital input and power feed and a 3.5mm headphone output on the other. There’s also a single hard-working LED that indicates the sampling rate of the incoming signal – blue for 44.1/48kHz, green for 88.2/96kHz and purple to indicate 176.4/192kHz – as well as volume limits. The DacMagic XS is an impressive device once up and running. It’s clearly better than the internal audio circuit of our relatively recent Apple MacBook Pro. Listen to a 16-bit/44.1kHz rip of Alt-J’s An Awesome Wave and the Cambridge is right at home. It sounds solid, stable and refined, and there’s an impressive amount of low frequency weight here that helps the rhythmic momentum of a song like Breezeblocks superbly. There’s plenty of well-organised detail and a pleasingly refined tonal balance too; the output direct from our laptop sounds thin, bright and weak in comparison. This was true whether we used AKG’s excellent K451 headphones right through to something like B&W’s luxurious P7s. Move to higher resolution source material, and the good news continues. Kate Bush’s 50 Words for Snow (24-bit/96kHz) sounds subtle and intricate. The Cambridge delivers plenty of insight and has an appealingly delicate way with vocals – there’s natural warmth here and a nice full-bodied balance. The story is similarly positive with a 24-bit/192kHz recording of Beethoven’s Piano Concerto No.4 in G Minor, Op.58, which is delivered with scale and power. Overall we’re happy with the way this DAC handles instrumental strands and keeps a tight grip on everything even when things become busy. But we do think AudioQuest's brand-new revision of its DragonFly DAC sounds clearer, and has the edge in terms of outright resolution and dynamic subtlety. And with the DragonFly providing some fierce competition in terms of performance, it means the DacMagic XS drops down a star. You have to feel a little sorry for the DacMagic XS, previously five stars, now bumped to four. 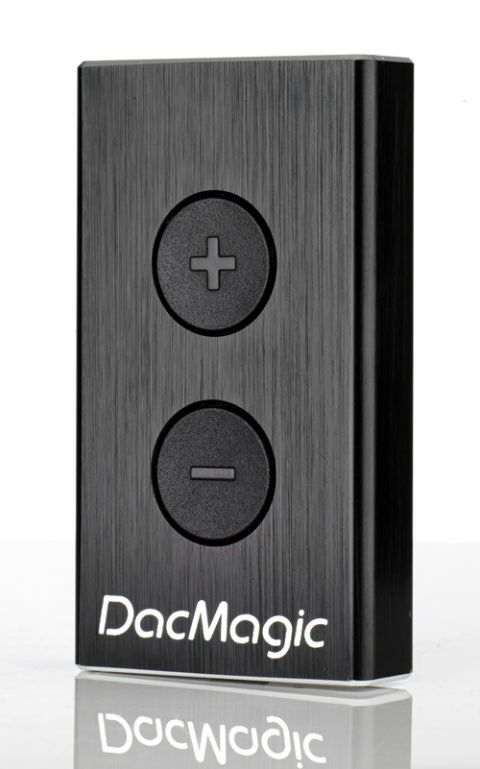 If you can't spend a penny over £100 then the DacMagic XS represents a really good buy – it's exceptionally well made and produces a wonderfully refined sound for the money. But the DragonFly v1.2 is only £30 more and is definitely worth spending extra if only for the notable jump in sound quality. However, the DacMagic XS is still a delightful little device and those with a strict budget won't be disappointed.